Fill empty perfume bottles with homemade perfume. Throwing a home spa party, at which guests receive beauty treatments or make homemade beauty products, can be a fun alternative to a standard birthday party for girls. With some planning and preparation, you can let your party guests combine their favorite fragrances to create their own personalized perfumes. Pick up a wide variety of essential oils and carrier oils at natural food stores. Essential oils are highly-concentrated extracts from the aromatic parts of plants such as the leaves and roots, while milder-smelling carrier oils come from nuts and seeds. Carrier oils dilute essential oils and make them safe to use on skin without causing irritation. Purchase small empty bottles at discount stores or search for refillable empty perfume bottles at thrift stores or yard sales. Plan to have a least one perfume bottle for each invited guest, plus a few extras. Set up a worktable, making sure to allow plenty of room to accommodate each party guest. Arrange all the perfume-making supplies on the workspace. Show the party guests how to make perfume. Using an eyedropper, combine essential oils and carrier oils in a jar in any combination you find pleasing, then pour vodka into the jar until the mixture consists of roughly one-fourth oils and three-fourths vodka. Shake well to combine the ingredients and pour the fragrance into an empty perfume bottle with the aid of a funnel. Allow each guest to make her own fragrance. Supervise young party guests carefully while handling essential oils and clean up spills promptly. Let each guest take home her own homemade perfume as a party gift. Common essential oils used in perfume-making include sweet orange, bergamot, lavender, sandalwood, jasmine and rose. Readily-available carrier oils include almond oil, jojoba oil and grapeseed oil. Set a soothing spa party atmosphere through the use of candles and relaxing music. Decorate with fresh flowers for a beautiful and fragrant setting. Store homemade perfume in a cool, dark place to preserve the fragrance. 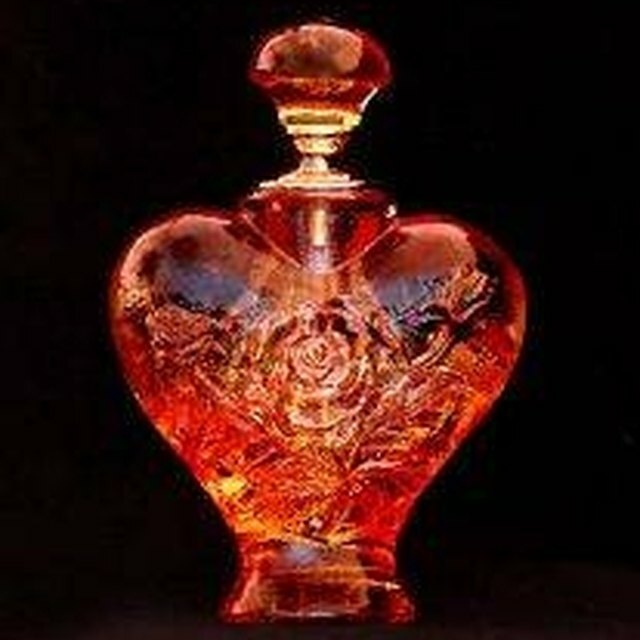 Perfumes usually grow stronger and more fragrant hours or even days after creation. Decorate bottles with handmade labels, stickers and ribbons after the perfume is created. Pregnant women and young children should not use essential oils. If party guests are very young, skip the essential oils entirely and substitute non-toxic aromatic ingredients such as vanilla or almond extract, lemon juice, citrus peel, flower petals and fresh herbs. In case of an allergic reaction to perfume ingredients, wash skin with soap, water and rubbing alcohol. Seek medical attention in case of a severe reaction. Use caution when handling essential oils. Never apply them directly to skin. Encourage party guests to wash their hands immediately after making perfume to avoid potential skin or eye irritation. As some essential oils can cause sun sensitivity, avoid sun exposure after applying perfume containing essential oils.